Married to Prince Harry and with a baby on the way, the Duchess of Sussex has the world as her stage. The American former actress will, nevertheless, perform a spectacular return to Hollywood, according to her last showbusiness agent. Gina, who represented Meghan until she met Harry, compares the Duchess’s situation with that of Oscar winner Grace Kelly, who abandoned Tinseltown to marry Prince Rainier of Monaco. However, Princess Grace’s yearning to return led to major ructions with her husband, who banned her from accepting the leading role in Alfred Hitchcock’s 1964 film Marnie and subsequent Hollywood offers. Meghan now has an important role in the royal ‘Firm’ and a diversion to La La Land would not be welcomed by officials. But Gina, who became close friends with Meghan and was with her the day she met the Prince, says courtiers couldn’t prevent her achieving her big-screen ambitions. ‘If Meghan wants to make a movie again, she will,’ says Gina at a party in London’s Marylebone. Meghan made her name in the legal drama Suits and had mainly small parts in films, but she would win starring roles on her return. 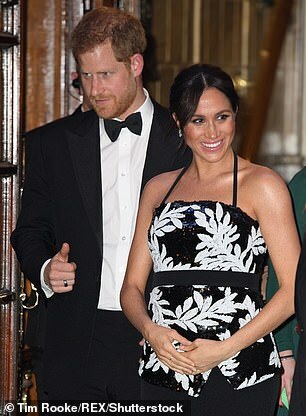 The Hollywood return will not happen until Meghan, 37, has had a number of children. ‘I know how much she wanted babies — plural,’ Gina adds. Although a pin-up of the hard Brexiteers, Jacob Rees-Mogg denies he has his eyes on No. 10. But does the double-breasted MP have designs on an even grander address? I ask only because Rees-Mogg has been appointed as a trustee of Charlton Park, ancestral Wiltshire seat of the Earl of Suffolk. The turrets of Charlton Park were converted into flats in the Seventies. The 21st earl owns the park and surrounding agricultural estate, which hosts world music festival Womad. 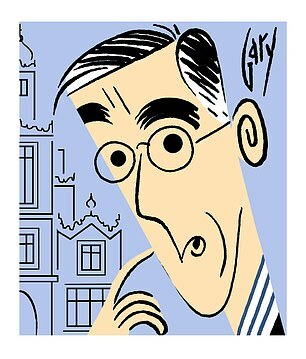 I always had the rarefied Rees-Mogg down as a Purcell man. The Queen appeared close to tears when she spoke to Grenfell Tower survivors last year and later paid tribute to them in her Christmas speech. HM takes a close interest in the inquiry into the disaster and invited the coroner, Dr Fiona Wilcox, to lunch at Buckingham Palace this week.